In 2015, grandstanding California Attorney General Kamala Harris used a raid on a gun collector to her political advantage in her successful Senate run. It now turns out that the raid was entirely unnecessary, at least partially due to incompetence in Harris’s Department of Justice, and that the family is getting all the guns back. After a lengthy court fight, a Clovis family forced the return of 500 firearms seized by the California Department of Justice in 2015. 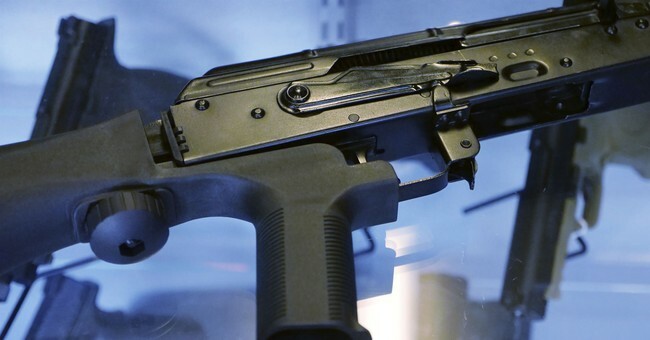 The weapons were confiscated by state DOJ agents acting on information that Albert Sheakalee was barred from owning guns because he was in the state’s Armed Prohibited Persons (APPS) database. However, his attorney, Mark Coleman of Fresno, argued that Sheakalee did not know that he was in the database. Coleman said the justice department broke a promise to Sheakalee to keep the raid confidential until a court hearing determined whether he was mentally fit to own guns. The arrest of Sheakalee and the gun seizure were highly publicized by the DOJ in a 2015 press release that received widespread media coverage. At the time of the arrest, the DOJ stated that Sheakalee was barred from firearms ownership “as a result of being taken into custody under Welfare and Institutions Code 5150,” under which officers can take someone in for evaluation if they are deemed a danger to themselves or others. Sheakalee, of course, was neither dangerous nor violent. He had no criminal history, and still doesn’t. He was added to California’s Orwellian Armed Prohibited Persons (APPS) database due to being taken into custody under the controversial provision of Welfare and Institutions Code 5150. Law enforcement officers—who shockingly enough, are generally not trained psychologists— have been accused of “5150-ing” people they find obnoxious, and the provision is so broad that it can be used by disgruntled family members or even former exs as a weapon. Displaying all the competence we’ve come to expect from the grandstanding Harris, a letter from her department warning Sheakalee that he could not possess firearms due to his 5150 hold was delivered 13 days after he was arrested.